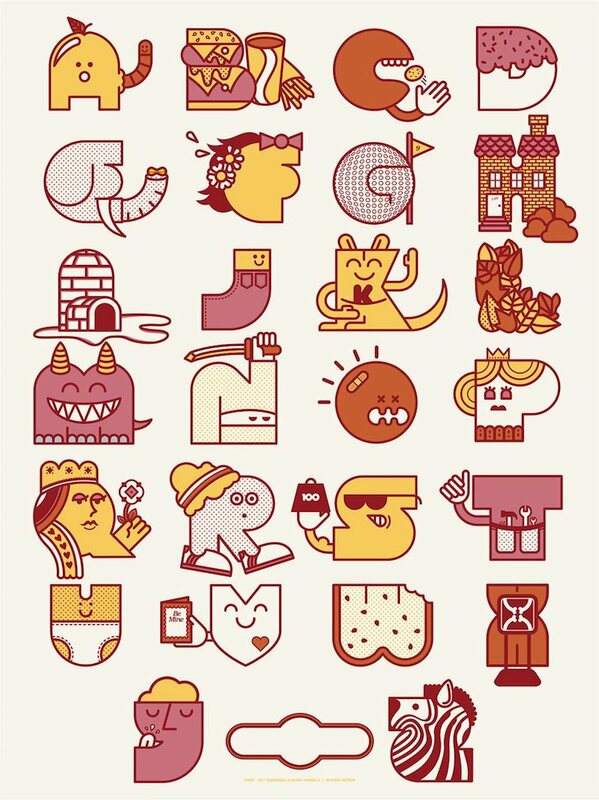 Mike Davis has added two new colorways of his “Alphabet” print to the shop. Both the Red & Pink colorway and the Blue & Green colorway are 18″ x 24″ screenprints, have editions of 100, and cost $25 each. Visit BurlesqueDesign.com.